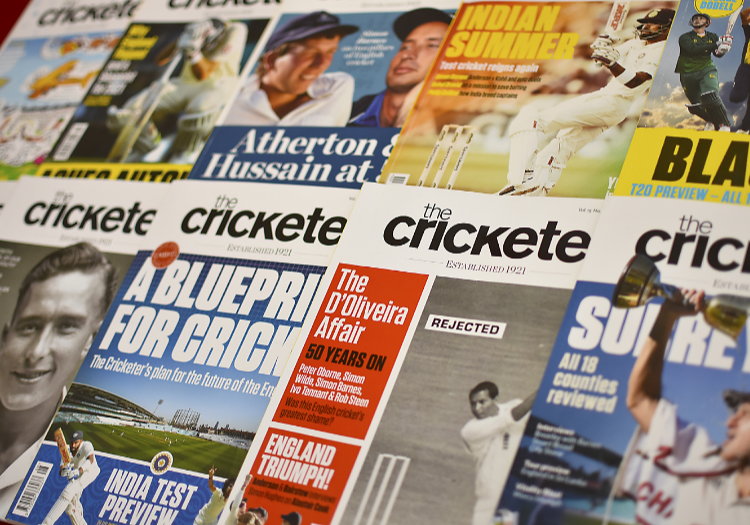 The Cricketer is the best-known and most reputable publishing brand in the game, connecting with six million enthusiasts every month through our print and digital channels. We would love to promote your brand and products to our audience and have detailed a number of ways which we can support your marketing output. Provides the opportunity to position your advert among some of the finest writing in cricket and within the most relevant content, to effectively reach your target audience. Allows you to align your brand within specific sections with subtle branding and messaging. Written ‘in house’ style or supplied in your own design, advertorials will introduce your product and drive calls to action. Place your message within the magazine to directly reach out to our subscribers and newsstand audience. We produce a select number of editorially-led supplements, immersing your brand within specific sectors of the cricket industry. The Cricketer website provides a range of options including takeovers and bespoke positioning next to preferred content. Options for sponsored content include video and feature articles while bespoke solutions are also available to capture the attention of our audience. Our rapidly growing social media following of 535,000 is matched by the high level of engagement across these dedicated channels. The Cricketer’s experienced team strike the balance between content and commercial to ensure our audience is fully engaged and consistently growing. For complete ownership of a section on the site, we produce standalone hubs that will host a stream of targeted content to amplify existing sponsorship or be the focal point of a new campaign. The Cricketer provide creative, digital and strategic services to our clients. From conceptualising and delivering advertising & experiential campaigns, to creating content, websites and film. Our business boasts a unique understanding of the modern game and its diverse audience, and the vision to engage your brand with a rapidly evolving, dynamic sport.